If the name Baylor doesn’t strike a chord with you as yet, well then let me jog your memory a bit. Jean Baylor has been on the music scene since the ’90s, laying her melodic roots down since her days as part of the chart-topping duo Zhané. Since then, she has gone on to be featured on albums as a writer/producer/performer (SWV, Carol Riddick, DJ Kemit respectively). Mrs. Baylor has also released two solo albums – Testimony: My Life Story and Light Up The World which has both garnered abundant praise and a strong fan following. 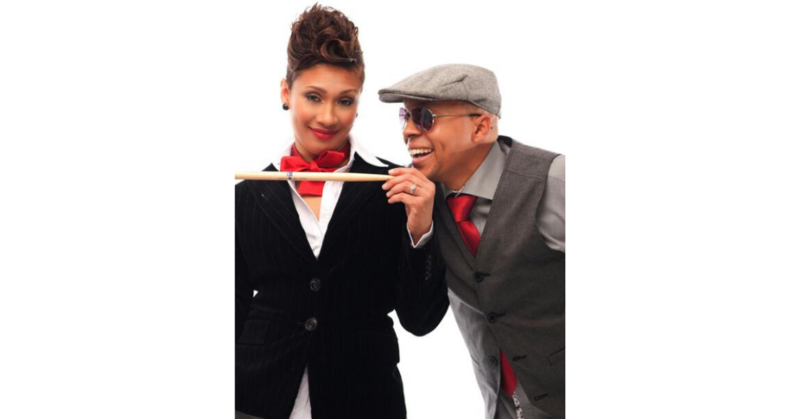 Jean’s other half, her husband Marcus, is an accomplished drummer who has dazzled on the skins with Grammy Award-winning jazz quartet Yellowjackets, Cassandra Wilson, Anita Baker and others. Together, Marcus and Jean are merging their worlds of soul, blues and jazz to bring you The Baylor Project on their imprint Be A Light. If you keep up with the loving couple through their YouTube or Socialcam channels, you already know that they both encompass a fun-loving, no-nonsense, musically diverse type of vibe. I love their chemistry and can’t wait to hear their project come to life. It’s about time they collaborate on their own album! Finally, The Baylor’s are working on funding their debut CD through Indiegogo and you know I always love to spread the word on amazing projects when I can. Their new single “More In Love” is my kind of easy listening. Soothing, euphonious and soul-stirring – I love it. As I am sure that you will too. I LOVE their energy! It’s definitely infectious. Imagine a whole album filled with so much love, spirit and individual awesomeness. My peoples, Jean and Marcus would like your assistance and not only that, but they would like for you to be a part of the album making process. We are at the verge of having an explosive 2014 in independent music, and I would love to see The Baylor’s be a part of it. Are you ready for the vibes?